TURIN (Italy) — The Board of Directors of Lavazza has examined and approved the company’s draft financial statements and consolidated financial statements at 31 December 2018, the latter drawn up for the first time according to IFRS international accounting standards. “2018 was a year of solid growth characterized by increased operating profitability, continuous strengthening of our brand and strong expansion both in Italy and foreign markets, in particular in France, North America, Eastern Europe and the UK,” commented Lavazza Group CEO Antonio Baravalle. Consolidated revenues amount to €1.87 billion, up 9.3% compared to €1.71 billion of the previous year. Such growth is attributable to both the integration of businesses acquired in 2017 (Nims, Kicking Horse and ESP) and to good performances in the organic perimeter, especially in Italy, France, North America, Eastern Europe and the UK. In Italy, which accounts for around 36% of total revenues, Lavazza Group maintained its leadership position in all channels thanks to the broadening of its commercial offering in the Single Serve segment, which continues to be the most dynamic in Retail, and of its commercial operations in the Out of Home sector. Lavazza Group EBITDA stands at €197.3 million, up 6.2% compared to €185.8 million of the previous year, with an EBITDA margin of 10.6%. Adjusted EBITDA stands at €206.5 million, up 9% compared to €189.5 million in 2017, before one-off costs relating to acquisitions. The operating result (EBIT) of €110.7 million is up 2.0% compared to €108.5 million in 2017, with an EBIT margin of 5.9%. Net profits reported of €87.9 million are up 12.9% compared to €77.9 million in 2017. The net financial position is €15.0 million against €503.0 million in 2017 due to acquisitions made in 2018 and significant cash generation. In 2018, Lavazza Group carried forward its international development strategy, designed to strengthen independence and competitiveness on a global level, and pursued its mission to be a premium pure coffee company focused exclusively on high-quality coffee in all forms by implementing a multi-brand strategy. During the year, the Group completed the integration of companies Nims, Kicking Horse Coffee and ESP. In line with its internationalization strategy, it also finalized two acquisitions in the automatic distribution sector. In July 2018, the Group acquired 100% of the business of Blue Pod Coffee Co., an Australian company (Mulgrave, Victoria) specializing in the distribution of Lavazza espresso systems (capsules and machines) for the Office Coffee Service (“OCS”) sector. In December 2018, the Group completed the acquisition of Mars Inc.’s coffee business (now Lavazza Professional) in North America, Germany, UK, France, Canada and Japan and the relative systems and production facilities in the UK and USA. Lavazza Professional includes the Flavia tabletop and KLIX automatic vending machines, two businesses with a large machine park in their respective markets and an extensive portfolio of coffee and other drinks, sold under proprietary labels (e.g. Alterra) or licensed brands. The two acquired companies generated sales of around USD350 million in 2017 and employ around 900 people. The operation enabled Lavazza to further strengthen its direct operations in all coffee segments, especially the out of home segment, to ensure increasingly direct dialogue with consumers. 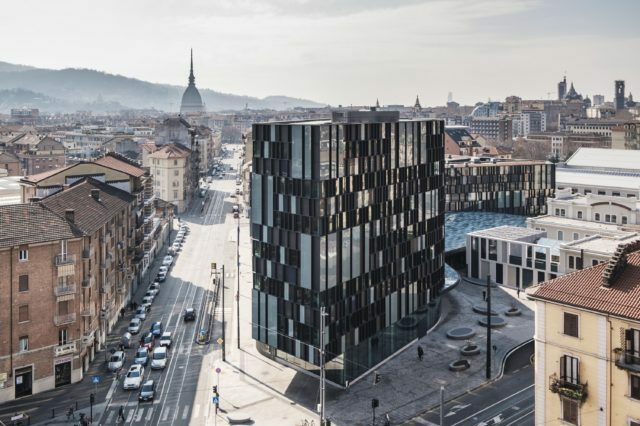 2018 also saw the inauguration of Nuvola, the Group’s new headquarters in Turin. The fruit of a complex investment plan worth over €120 million, Nuvola Lavazza embodies the company’s values and its over 120-years of history. 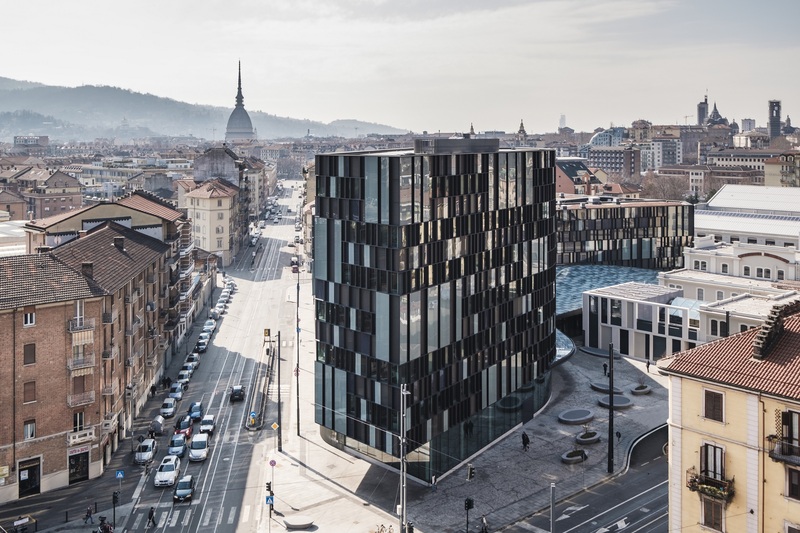 The project, by architect Cino Zucchi, has given a new face – upgraded and smart – to the Aurora district of Turin and is an ecosystem designed to inspire people and stimulate dialogue by offering sharing experiences: cultural, social, taste and business. Thanks to Lavazza Group’s uncompromising stance on sustainability, the new Nuvola building obtained the Platinum LEED certification, the highest level of the system that assesses buildings’ energy and environmental excellence. Nuvola Lavazza is recognized as one of the most eco-sustainable buildings in the world. Lastly, Lavazza is in the world’s top 100 brands by reputation according to Global Rep Track, the annual ranking of the world’s most reputable companies by Reputation Institute, a world leading provider of business reputation measurement and management services (Lavazza was 49th in 2018 and 38th in 2019).